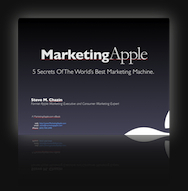 Marketing Apple: Secrets of the World's Best Marketing Machine: Will Apple Buy Facebook? Right now, Apple can purchase Facebook twice over and still have money in the bank. But why would they do so? Ping is a failure. Apple doesn't have a social network. Right now every startup has to come to market on the back of Facebook's social graph. Instagram, Zynga, Buddy Media have all seen near billion dollar valuations simply by coupling to Facebook's social graph. It is remarkable that many large brands no longer run marketing campaigns to drive traffic to their own websites. Instead they drive them (lazily, if you ask me) to facebook.com/companyname and leverage the social tools (like, share, post, etc.) that exist there. All this does is drive more traffic to Facebook which creates a virtuous circle - benefitting Mr. Zuckerberg. Apple gets this (so does Google, btw). It is the same way the iPod begat iTunes which made the iPhone and iPad the dominate players in their market. It is about critical mass - getting people to spend more time, money, and effort in your own walled garden than anywhere else. Will Apple make iTV (or Apple Television) a social experience - sharing with others what you are watching, on what device, and what people think, chatting live together - if so, they will need a (BIG) social network. Today's launch of Airtime.com is just another example of a well-funded company without even a website - all the heavy lifting is done at facebook. And Apple, uncharacteristically, is left out of the equation. 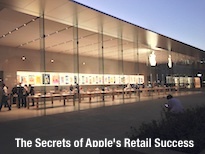 How long until Apple marketing fixes that omission?